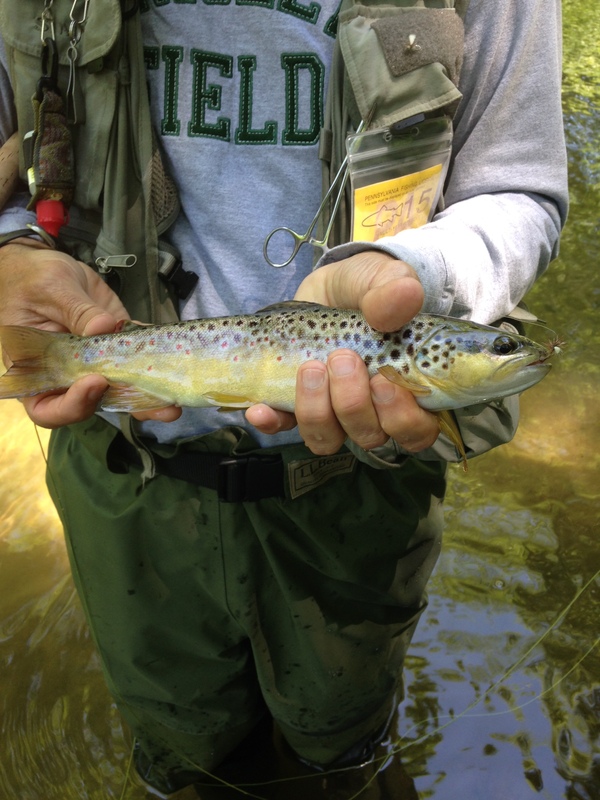 Spring fly fishing in Franklin County had been a challenge due to a combination of high and sometimes murky water. Streams like the Yellow Breeches are just now getting into good shape for dry fly fishing but without any significant hatches. It’s now Tricos season but so far they have been sparse to non-existent. The good news is that there are still options. 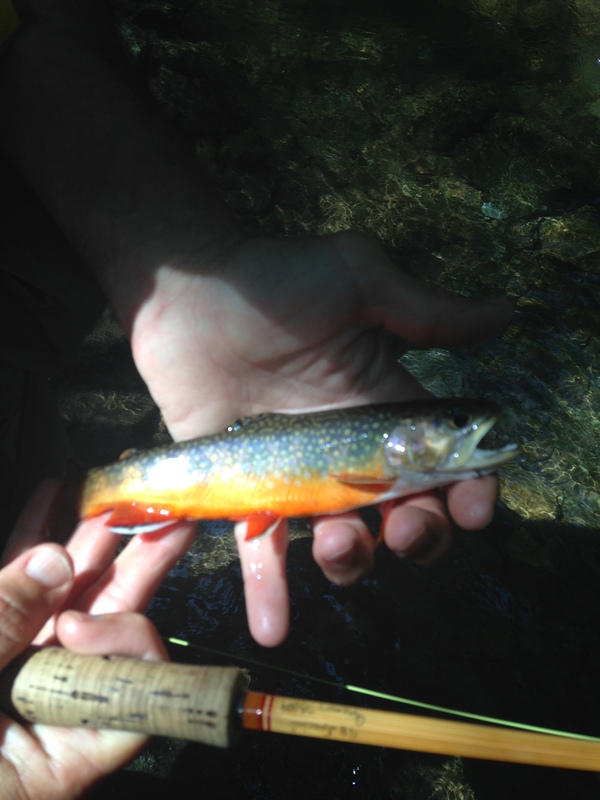 Bear Run: My son Craig and I fished this little gem last weekend and caught 20 wild Brookies using caddis. Bear Run is located in Bear Valley and near the picnic grounds. Yellow Breeches: Until the last week or so, the stretch near the Allenberry Playhouse has been high and stained. We have had some good luck on the upper stretches near the fish hatchery. Most of the fish you catch in this stretch are wild browns and in the 8-10 inch range. Wyatt Dietrich, local bamboo rod maker (www.bamboorods.com) and I fished together last week on this section. Wyatt had an exceptional morning – landed 16 wild browns. Craig (Coder) and I had another great morning on Saturday. 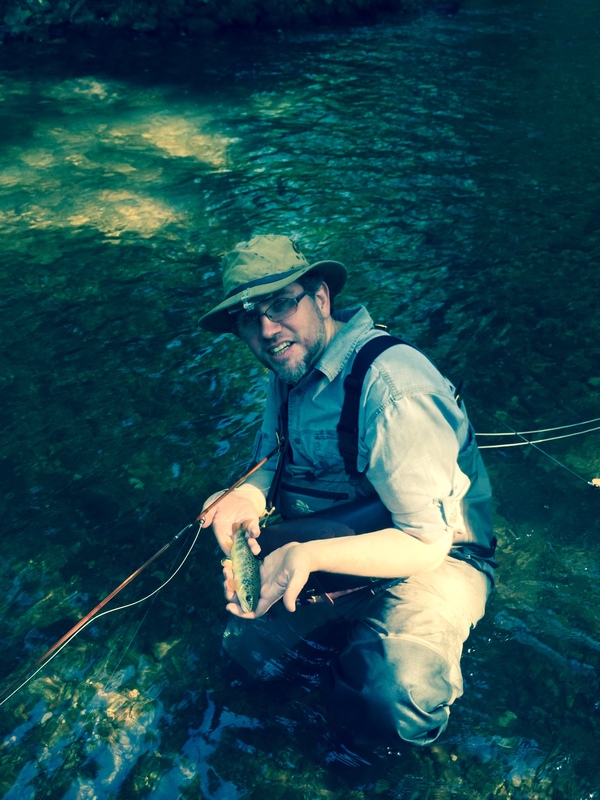 In addition to catching 26 wild browns, we caught 2 exceptional ones measuring around 12 inches. Falling Spring: Craig and I have fished the Spring on both the heritage section (sulphurs close to dark) and on the Delayed Harvest section. Ants and midges have been the ticket. A good day is catching 2 or 3 and we have caught some quality fish in the 15-17 inch range on ants. 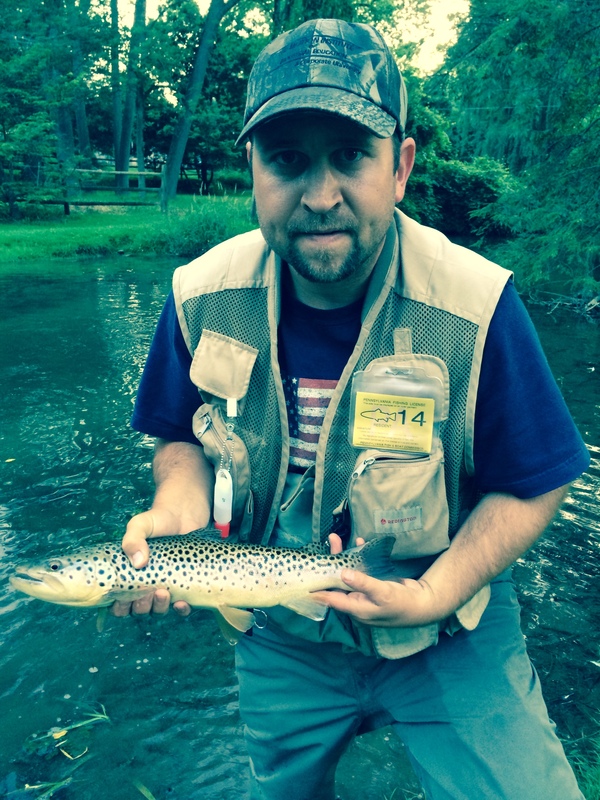 Looking forward to fishing the Tricos hatch on Spring Creek, Tulpehocken and the Little Lehigh!